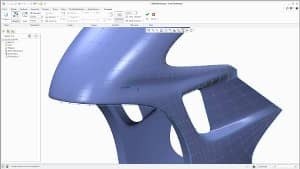 Are you looking for a new CAD solution? 3D or 2D? Parametrical or direct modeling? Including PDM, PLM or drawing management only? Integration with your PPS or ERP system? Creo is a suite of CAD applications you can use to design products the way you want! Not the way your CAD tool requires. 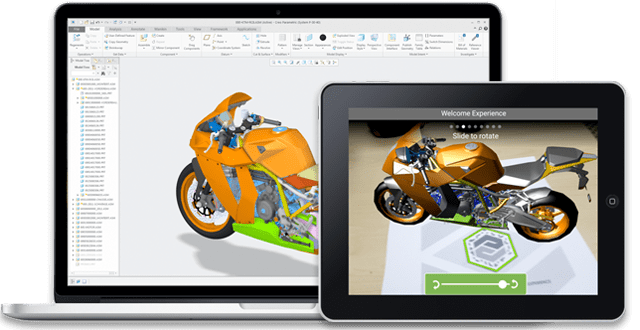 With Creo, you can create, analyze, view, and share designs downstream using 2D CAD, 3D CAD, parametric and direct modeling capabilities. 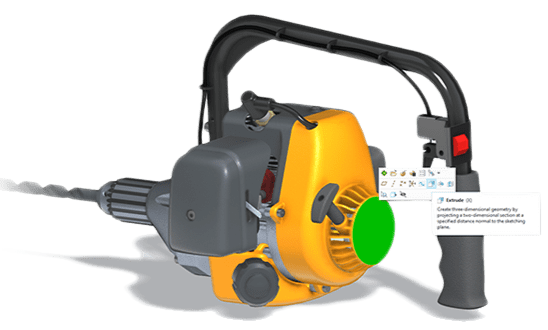 Each Creo application shares the same user interface and is interoperable, meaning data can seamlessly transition from one to another. As official PTC sales partner, we offer consulting and sale in addition to all services surrounding PTC products. With the maintenance products you are always "up-to-date" and our trainings guarantee fast and easy introduction into the use of the programs. Think different. Be more productive. Design smarter. 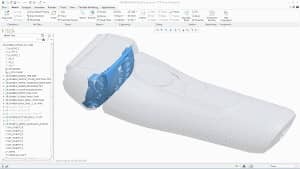 PTC Creo Parametric (formerly Pro/Engineer) is the standard in 3D CAD and provides a wide range of powerful and flexible 3D CAD capabilities to help you address your most pressing design challenges including accommodating late stage changes, working with multi-CAD data and electromechanical design. 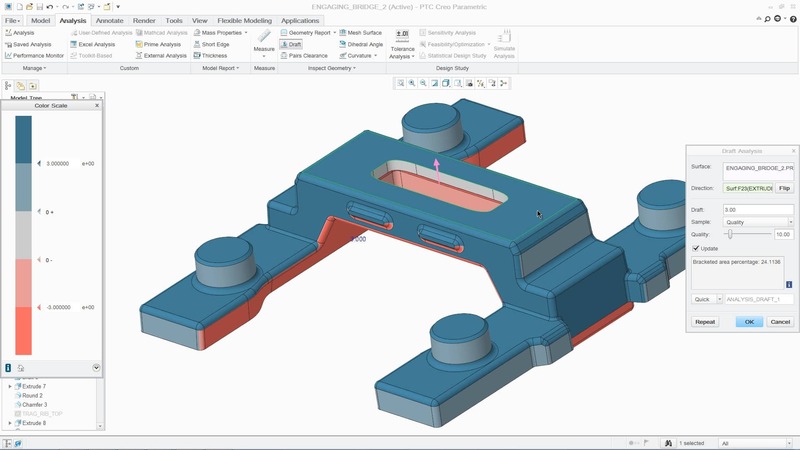 As part of the PTC Creo product family, PTC Creo Parametric can share data seamlessly with other PTC Creo apps. This means that no time is wasted on data translation and resulting errors are eliminated. Users can seamlessly move between different modes of modeling and 2D and 3D design data can easily move between apps while retaining design intent. This results in an unprecedented level of interoperability and delivers break-through productivity gains throughout many product development processes. PTC Creo Elements Direct - Creo Elements/Direct Modeling is a mature product with the most comprehensive direct modeling capabilities on the market, as well as a full range of extensions to meet specialized needs. So bring on your most radical design change or that one-off product: the software is intuitive, robust and up to the task. Even with massive assemblies. 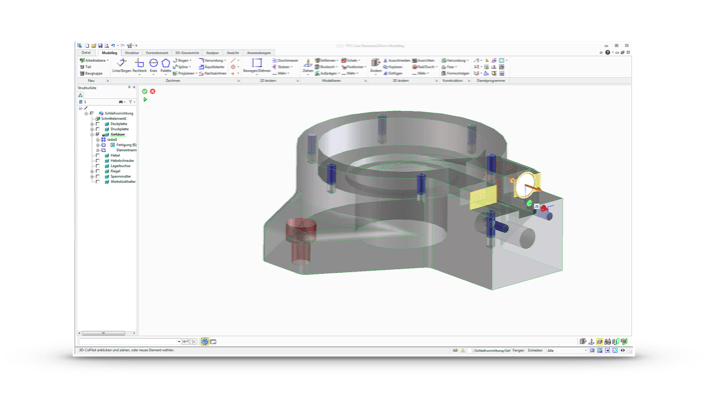 Moreover, you or anyone on your team can pick up and work on a direct 3D product with minimal ramp-up time. Try it. 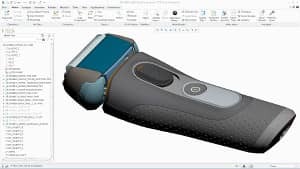 And you can easily incorporate multi-CAD data from partners or suppliers and then go on to produce a digital prototype or proposal quickly.